British Columbia’s political arena has always been the site of dramatic rises and falls, infighting, scandal, and come-from-behind victories. However, no one was prepared for the historic events of spring 2017, when the Liberal government of Christy Clark, one of the most polarizing premiers in recent history, was toppled. 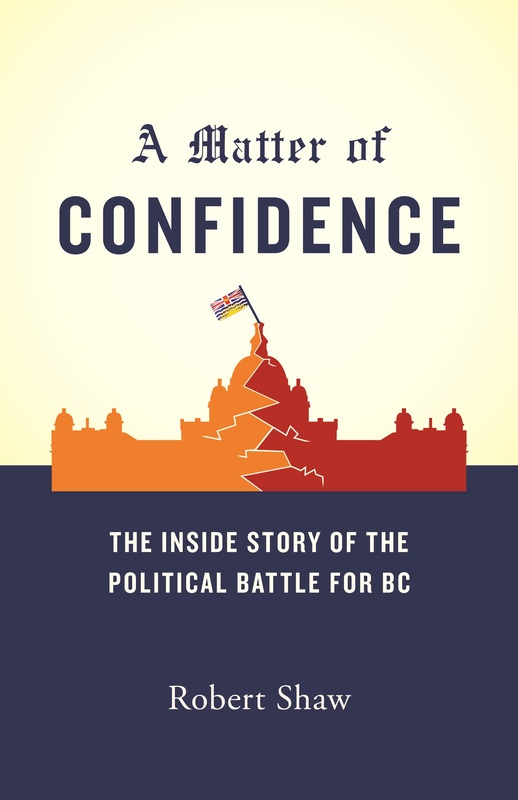 A Matter of Confidence gives readers an insider’s look at the overconfidence that fuelled the rise and fall of Clark’s premiership and the historic non-confidence vote that defeated her government and ended her political career. Beginning with this pivotal moment, the book goes back and chronicles the downfall of Clark’s predecessor, Gordon Campbell, which led to her unlikely victory in 2013, and traces the events leading up to her defeat at the hands of her NDP and Green opponents. Told by reporters Robert Shaw and Richard Zussman, who covered every moment of the election cycle, and illustrated by candid and extensive interviews with political insiders from both sides of the aisle—including Christy Clark and John Horgan—this book is a must read for anyone who cares about BC politics and the future of the province.